Pioneers in the industry, we offer ss pressure gauge, differential pressure gauge and magnehelic differential pressure gauge from India. 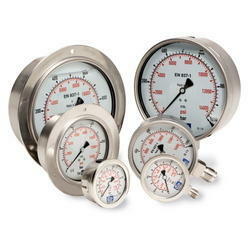 We are a standout organization offering SS Pressure Gauge to our clients. Consisting of an excellent calibration system, this pressure gauge has been developed by using stainless steel of the best quality. It is offered in different size range. This gauge boasts of superior quality and is resistant to breakage. It is known for its high durability and excellent construction. 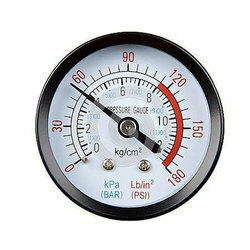 This gauge is used in laboratories for handling pressure. Our organization is widely acclaimed in offering Differential Pressure Gauge to our clients. It has excellent calibration system and is used for measurement of pressure and related quantities. This gauge has been constructed by using glass and other material. It has sturdy construction and is reckoned for its high durability and best performance for years. This gauge is truly versatile. It is free from defects and is offered in both customized and non-customized options. 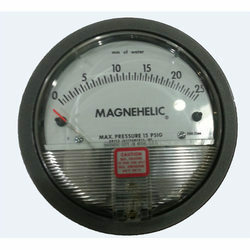 In order to cater the variegated demands of our precious clients, we are offering an excellent quality range of Magnehelic Differential Pressure Gauge.